Ross Correctional Institution is located in Chillicothe Ohio. 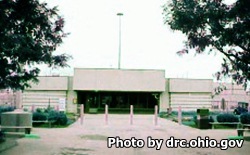 It is a close custody correctional facility that houses mostly level 3 inmates. Additionally, this facility has one dorm that houses medium security offenders. Ross Correctional Institution has a maximum capacity of 2,578 inmates. This facility has an average rate of violence when compared to other close custody facilities in Ohio. Medical services at this facility are considered excellent as their is no backlog of medical requests. Ross Correctional Facility offers standard adult basic education and ability for an inmate to earn their GED. Vocational classes at this prison include carpentry, administrative office technology, and barbering. Some inmates will qualify for community service programs which include working with canines, working for Habitat for Humanity and wrapping holiday presents. Offenders can also participate in the Cognitive Behavior Therapy program which is a three month outpatient program that helps those with substance abuse issues, by counseling, educating, and emphasizing the importance of a life of sobriety. Visitation at Ross Correctional Institution is by appointment only. You can schedule an appointment by calling (740)-774-7050 ext 2202 at least 48 hours in advance between the hours of 8am-2:45pm Wednesday through Sunday. You must specify the number of visitors in your request for an appointment. Visiting is according to the last digit of the inmate's ID number. If the inmate has an odd identification number they are allowed visits on odd dates, if the inmate has an even identification number they can have visits on even dates. Visits occur on Wednesdays, Thursdays, Fridays, Saturdays, and Sundays from 7:30am-2:15pm. The processing of visitors ends at 1pm. Additionally, this facility participates in video visitation through JPAY. You need to be on the inmate's approved visitors list and sign up for a JPAY account in order to have a 30 minute video visit. You are also charged a fee by JPAY for providing this service.